MacDonald, O'Donnell, S Boyd, Findlay, Taylor , Tshbola, Wilson, (Burke 78), Mulumbu, Kiltie, (Brophy 55), Erwin, K Boyd, (Cameron 91). Subs Not Used: MacKay, Greer, Simpson, Spencer. 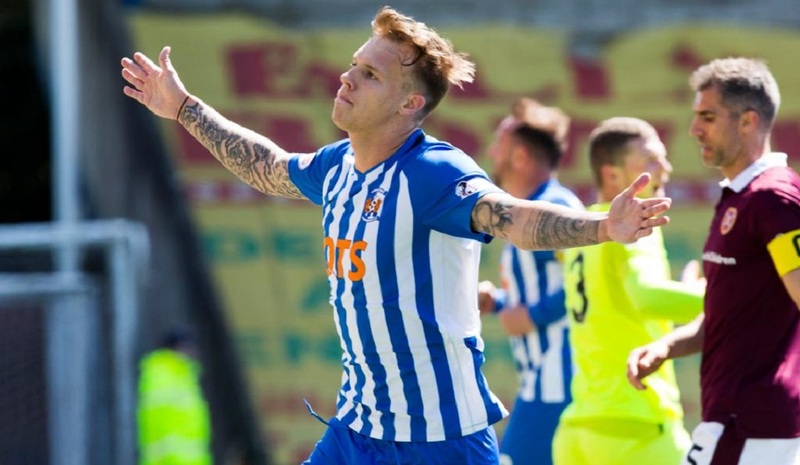 Kilmarnock's victory gave them their biggest ever Premiership points tally of 59, and 10 points clear of sixth-placed Hearts. 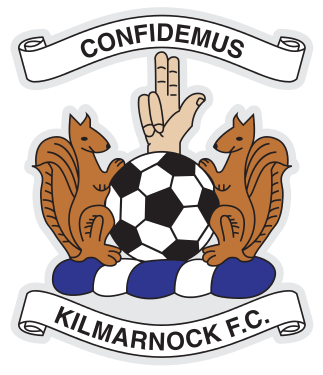 Kilmarnock were rewarded for their early influence on the game. 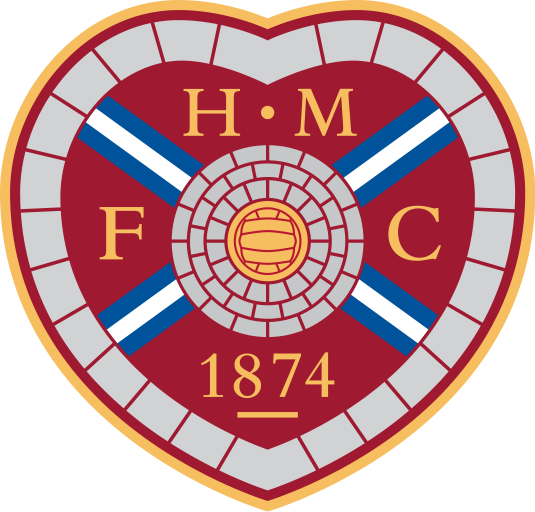 Hearts goalkeeper Hamilton got something on Lee Erwin's shot, but the ball spun in the air and bounced in at his left post. 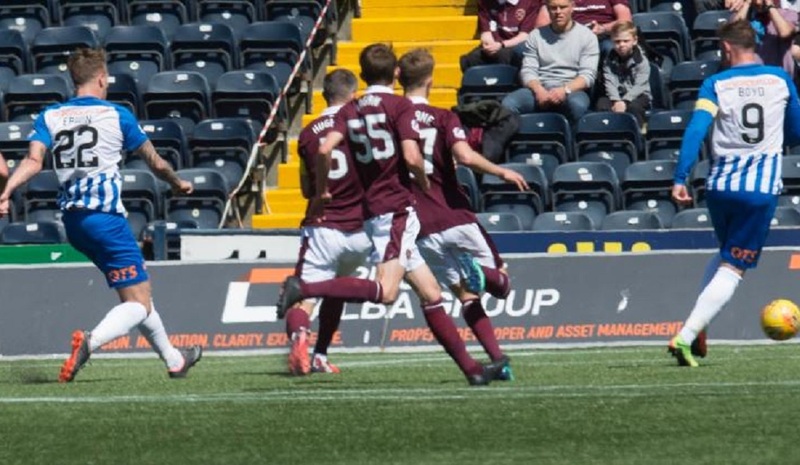 It was an entertaining game in a relaxed atmosphere in the Ayrshire sunshine and there were chances galore. 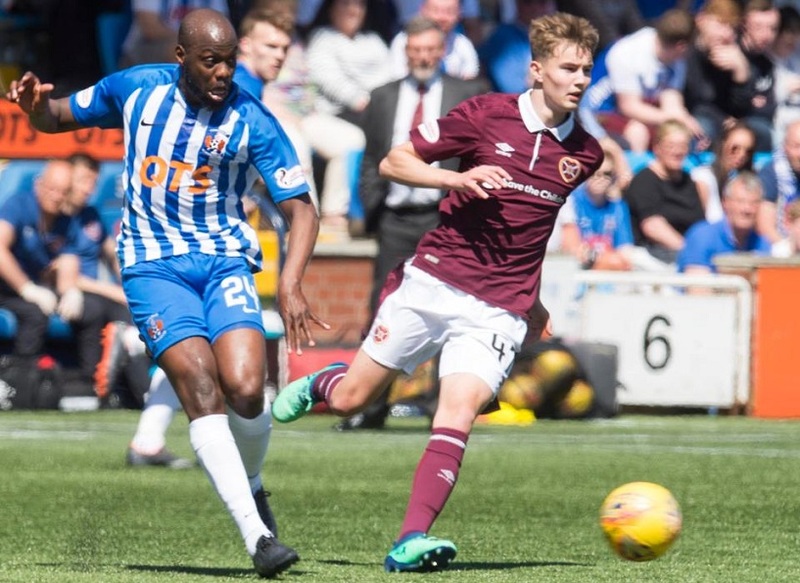 Playmaker Mulumbu in the middle of the park for Killie was a joy to watch. 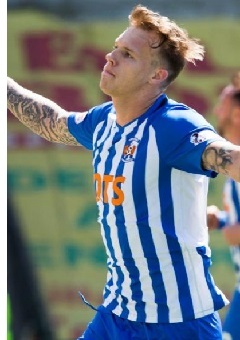 Kilmarnock should have won by more, but a series of incredible saves by Hamilton combined with some bad decision making in front of goal kept it to a single goal victory. 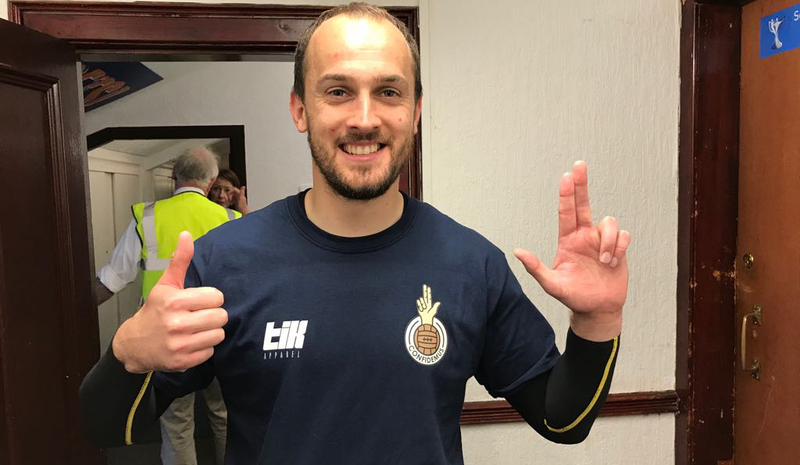 Kris Boyd in particular could have added to his 18 league goals - failing to get his head to Erwin's first-half cross, and a brilliant save from Hamilton denying him on the volley late on. 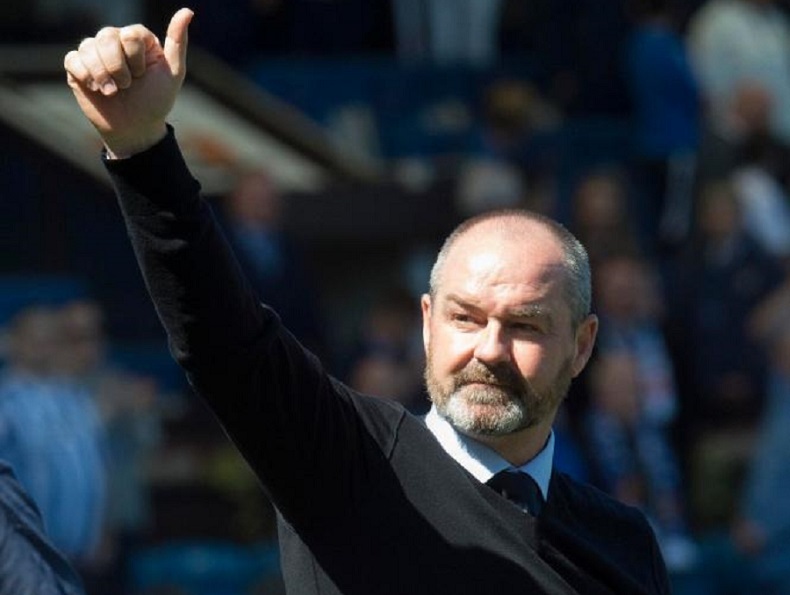 But Kilmarnock's win and strong captain under Clarke still triggered a standing ovation from the home fans at the end of a truly remarkable season for them. 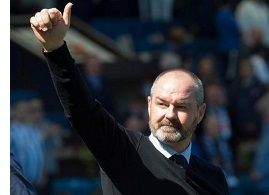 Steve Clarke: "I'm not crazy on stats but it is another little notch for us, It is nice for this group of players to get that recognition from a very difficult start to the season. They have managed to put together a great run. They have managed to end up with 59 points. I did set them 60 so they have come up short!" "It was important for us to get the win. The pressure was on us to get the win although we didn't do it in any great style. "There has been a positive atmosphere around the club and it was important we didn't send the fans home disappointed with the result. Over 6,000 people for the game is a step in the right direction."